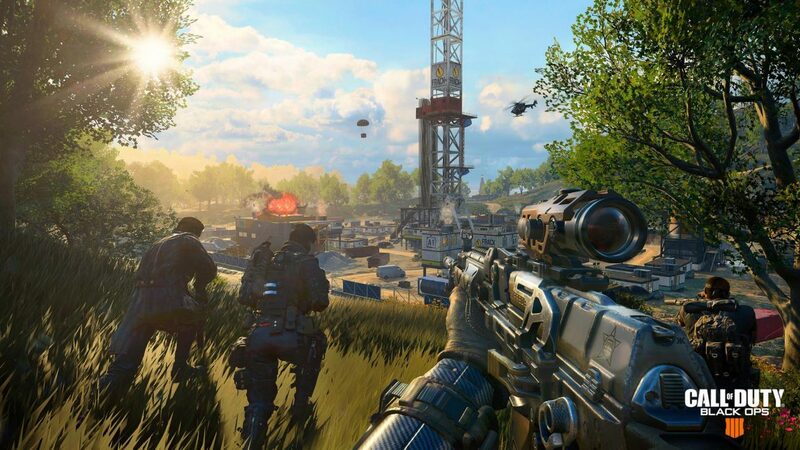 Drop into the Blackout map and you’ll find an abundance of weapons and other gear to help you survive in Call of Duty’s new battle royale mode. Once you’ve scrambled to grab the nearest weapon to hand and checked your corners, you’re going to want to upgrade your weapon as soon as possible. It’s all well and good knowing which is the best weapon in Blackout, but you still need to find it. Weapon drops and locations are randomised in Blackout so we can’t guarantee you’ll find every weapon on this list each time you play. Once you’re armed, however, your chances of finding better gear increases, so grab what you can and run for cover. Clearing out a horde of zombies can grant you something special like the lethal Ray Gun or Monkey Bomb, while Supply Drops will usually gift better than average assault rifles and snipers. Enemies will also drop their gear which you can loot, and with the added pressure of a shrinking play area and threats from other players, you will need to make decisions quickly as to what weapons and gear you take. We’ve compiled our list of the best weapons to carry in Blackout. We won’t go over every weapon, so if you don’t see one here then let us know why you favour it in the comments below. If it’s not listed here it’s probably an average weapon – the purpose of this list is to know what to horde and what to avoid on the Blackout map. Blackout weapon ranking – which are the best weapons in Blackout? Assault rifles are good all-rounders for short and long range confrontations, so narrowing them down to the best can depend on personal choice and skills. Rampart 17: The Rampart deals the highest amount of damage, but the trade off is its slow rate of fire. It’s one of the best assault rifles in the game if you’re accurate enough. If you want something more balanced, go for the KN-57, which is a great all-rounder. ICR-7: The strength of the ICR-7 is its accuracy with minimal recoil. Damage isn’t as high as the Rampart, but you’ll find more shots hit the target. The VAPR-XKG is another powerful weapon that has excellent precision at both long and close range distances. When paired with a x2 scope, it’s a formidable weapon and useful when waiting out the last few rounds of Blackout. Auger DMR: The Auger DMR is the best weapon in Blackout. It’s great in almost every situation, deals a lot of damage, is superb at mid-range and punches above its weight at long range too. It’s accurate and powerful and will win you a fight on more than one occasion so always favour it over the Swordfish. The Swordfish is a worthy substitute; tap the trigger fast enough and it becomes a fully automatic weapon with exceptional accuracy. Both of these are essential and you should definitely pick either of them up if you find them. The SMGs in Blackout are good for close range, especially in enclosed areas where movement is restricted. Get in close and first and you’ll overwhelm the majority of enemies. Cordite: The Cordite takes the most common ammo, and lots of it. It has a quick rate of fire so great for spitting bullets at enemies. The Spitfire does have a faster rate of fire, but only marginally, and does a little less damage. MX9: Some of us favour the MX9 for its low recoil and faster rate of fire, and it takes the .45 Cal bullets, the same as the Spitfire. Light Machine Guns do a lot more damages than SMGs but they’re clunky to reload and slower to move around. Great for a confident full-frontal assault or suppressing firepower if you have a teammate doing something a little less conspicuous. Titan: An absolute beast, the Titan has a high rate of fire and isn’t too jumpy with the recoil. Lay down and spit suppressing fire to put groups of enemies under siege. Zweihander: Eliminate a whole group of zombies and you’re likely to unlock the Zweihander. It’s a monster with two barrels, and although it doesn’t do the most damage it uses the most common ammo type, the 7.62mm. It looks cool as hell, too. For those that take their time and like to fight from a distance, there are two sniper rifles to choose from in Blackout. Paladin HB50: This does more damage than the Koshka, which fires faster. You’ll need to be accurate, but if you know how to handle the Paladin you’ll take heads off. You know the drill with shotguns: devastating at very close range, useless for anything else. Equip when entering the smaller buildings on the map, but still not as usable as an SMG. SG12: This is the best shotgun because it’s fully automatic and doesn’t require a reload and as we all know, every second counts. In Blackout, that is. Molotov: The thing we like most about the Molotov is the chaos. Not only does it spread flames for area effect damage, anyone in close proximity usually panics and makes a move. Great if you know where someone is roughly camping out, and generally more effective than a Frag Grenade. Hellion Salvo: The Hellion has a very specific use which it does very well. With a lock-on target, it will destroy vehicles and any players inside them. It’s most useful in Duos or Quads, where enemies are moving quickly and in groups. It’s rare, so you can take out entire teams who aren’t expecting it, but it’s not really worth carrying around in Solo unless you drop it near your location and know where to pick it up should vehicles approach – but that’s doesn’t really happen in the late game. There are a few other weapons and gadgets dotted around the map that can be lethal in the right situation. These are they. Ray Gun: The only pistol worth mentioning. The Ray Gun fires really slowly but it’s an instant kill if you hit your enemy. Fun, but you’ll only find it by killing zombies so it’s more of a novelty than anything else. Combat Axe: the combat axe is lethal, providing a one-hit kill if your aim is true. It’s assigned to the right bumper by default, so doesn’t take up a weapon slot and it’s silent if you’re worried about attracting unwanted attention. It’s a great find and should be equipped immediately, but remember it will take the place of an equipped explosive. 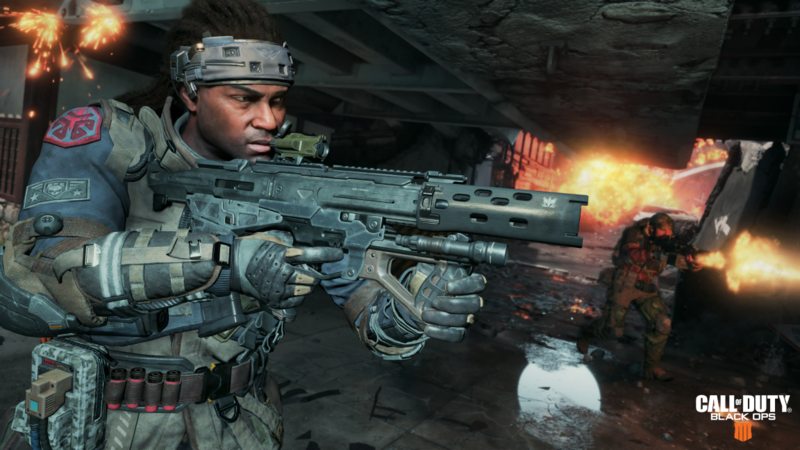 Back to our complete Call of Duty: Black Ops 4 guide.